I.A. 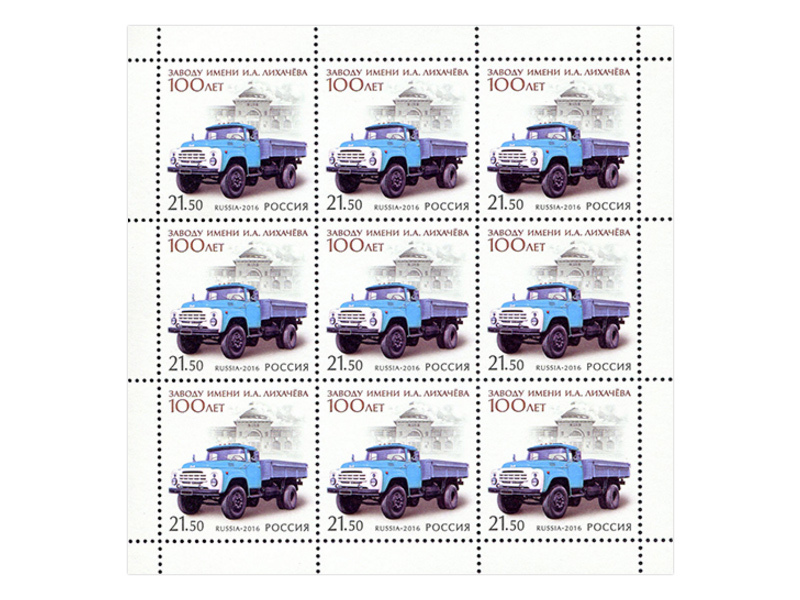 Likhachev Moscow automobile plant is the oldest Russian automobile manufacturer. 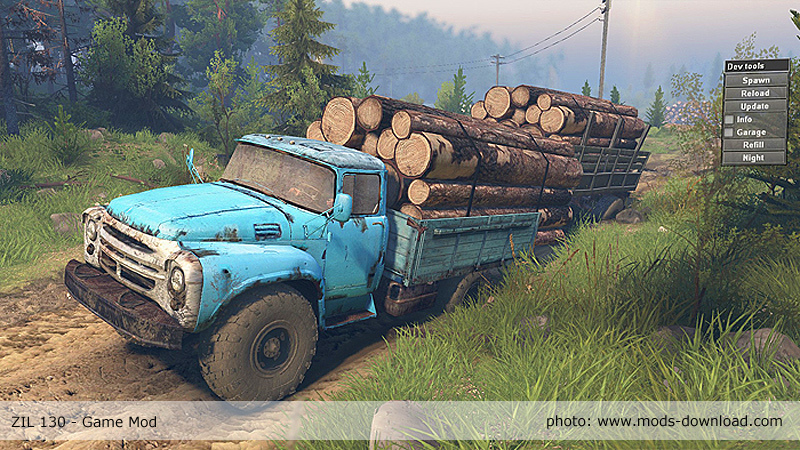 It was founded in 1916 as a part of the Russian government program dedicated to creation of the automobile industry. 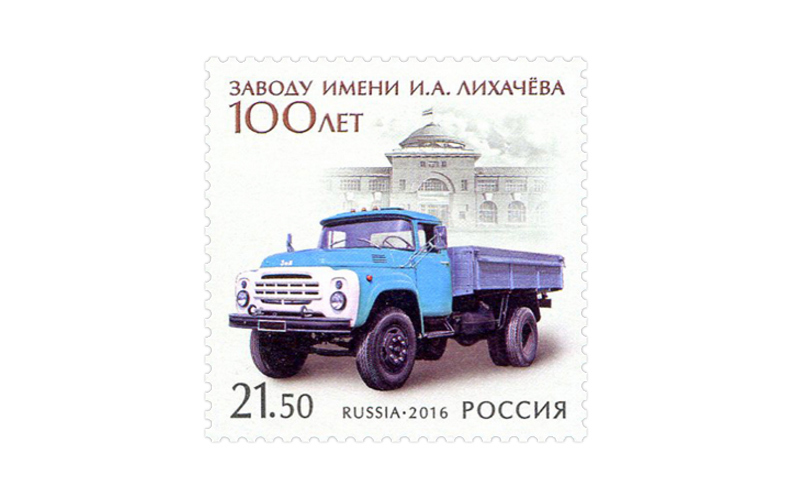 Firstly the main activity of Likhachev plant was car assembly with the imported details, eventually the plant developed manufacturing automobile engines, engaged in repairing and began to produce cars of native materials. There were several reconstructions of the plant since 1916. Nowadays, the plant produces trucks and passenger cars with a high level, engines, automotive parts, huge assortment of various equipment and all kinds of equipment for their own needs. 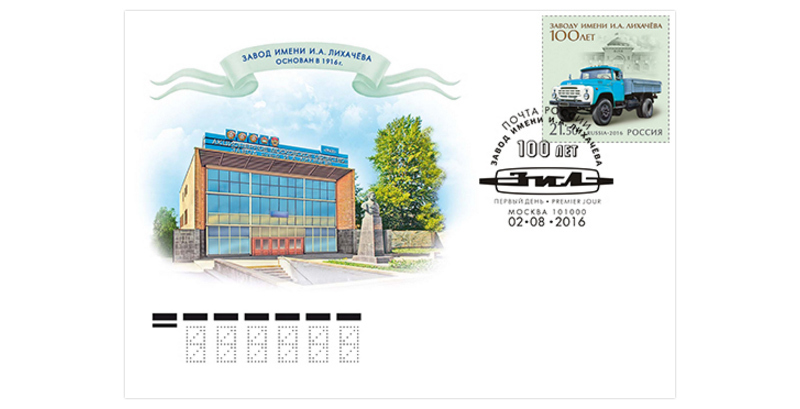 The postage stamp features the automobile ZIL-130 on the background of the first building of the plant.